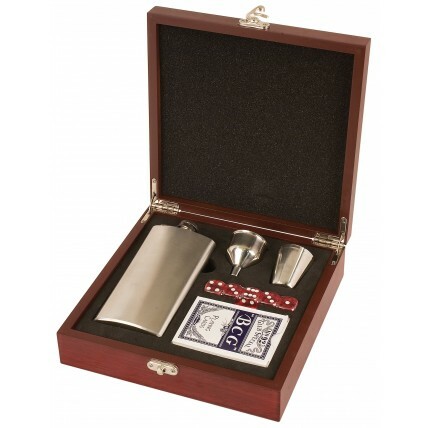 Combine a love of spirits and poker with our elegant Rosewood Flask and Poker Gift Set ! 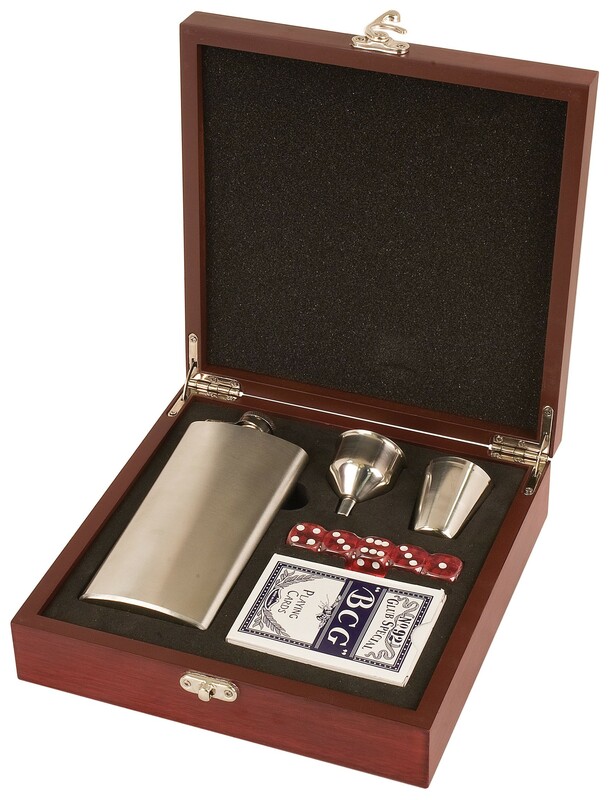 This corporate gift set includes a 7 oz stainless steel flask, stainless steel funnel, stainless steel shot glass, pack of poker playing cards and 5 dice, all stored in a handsome rosewood finish box with a silver latch. 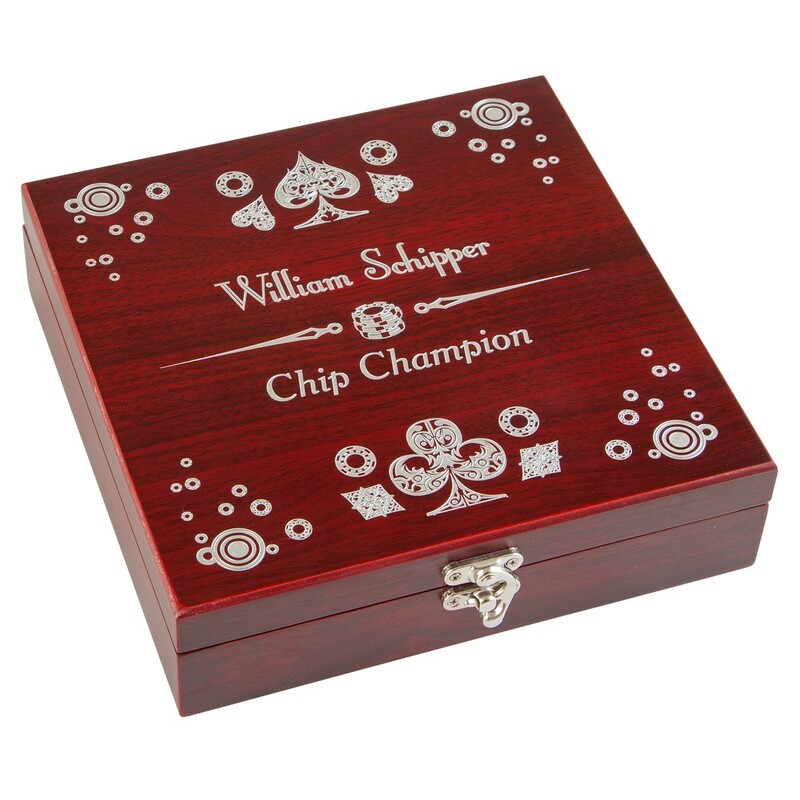 Your messaged is laser etched in silver onto the top of the box. Overall size is 8 1/4" x 8 1/4" x 2 3/8".